Dark, disturbing and unpredictable, this indie thriller revolves around a seemingly normal yet homicidal young man who ventures out one night in search for prey. At a lonely bar he meets a young woman, takes her to a hotel room, ties her up and prepares for the kill…until he discovers the woman harbors secrets far worse than even he could imagine. What unfolds is a diabolical game of cat and mouse, and a soul bearing confession of love and death. Byron C. Miller, seemingly inspired by the gritty indie filmmaking of 1960s era John Cassavetes, Jim Jarmusch’s Stranger Than Paradise and Gus Van Sant’s Mala Noche, directs this unnerving tale of murder and amorality wrapped around an unconventional love story. Anatomy Of Monsters - Trailer from artsploitation on Vimeo. 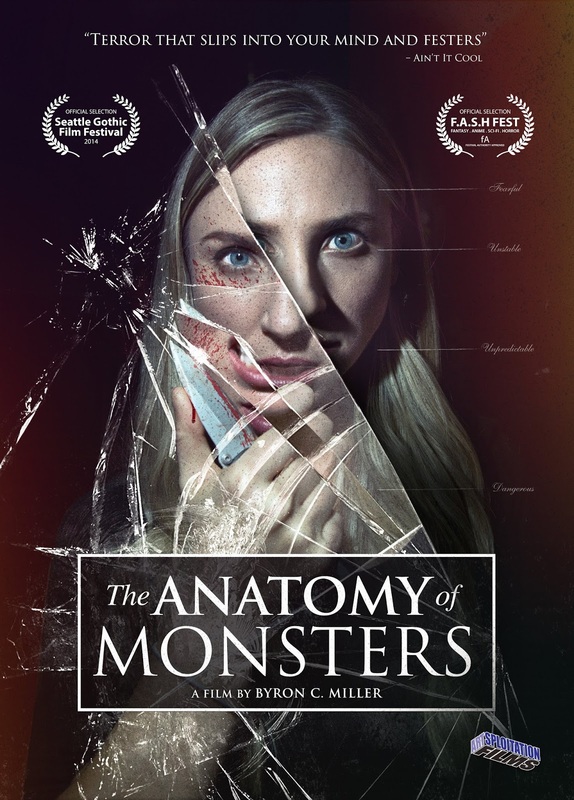 THE ANATOMY OF MONSTERS is out now on DVD and VOD/Streaming. You can also rent/buy it on Vimeo here.